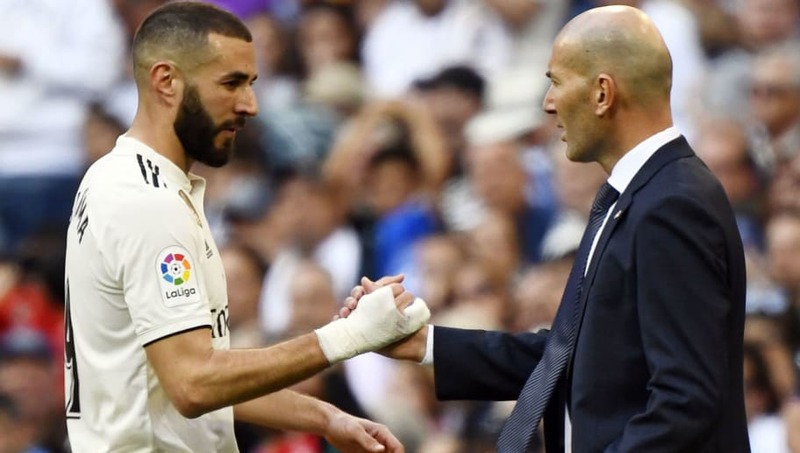 ​​Real Madrid coach Zinedine Zidane has reinstated his faith in French striker Karim Benzema by rubbishing rumours that claim that the forward will be replaced this summer. He also spoke about the futures of Toni Kroos and Isco respectively. The Real Madrid boss was speaking ​ahead of his side's trip to face Leganes on Monday night in which he told ​Marca, "Benzema is compatible with everyone because he can bring all the good players together." ​He continued, "Karim is a different player, he's not a typical number nine. When I saw him start, he was playing more in midfield and out wide. He knows that he can do many things, he can score like a no.9 and he can do link-up play." Additionally, Zidane also addressed reports claiming the uncertainty of German midfielder Toni Kroos' future. He said, "Kroos is a very good player, not only for me. He's done many good things in his five years here, he's a calm player that doesn't wilt under pressure." The Frenchman continued, "I like him, I've always liked him. You talk and will continue to talk about Toni and other players that I don't want... all of them are important and good enough." Finally moving on to another player with an uncertain future at Real Madrid, Isco, Zidane concluded, "There are many players here that can be sold because they are all really good. Many clubs want many Real Madrid players, it's nothing new. Isco is an important player and I like him. We'll see what happens next year."